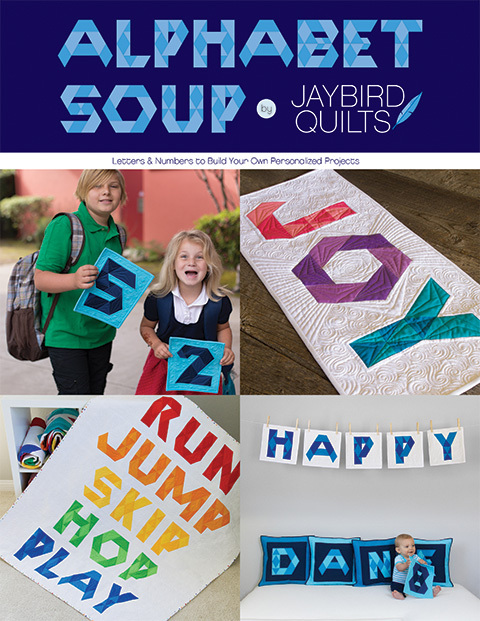 camille & carrie have started "parade of quits"
with the goal being... show your first quilt.. and your most recent finish. lots learned... but this quilt is sooo full of love! if you couldn't guess my brother is a huge mini fan... he is also a really great photographer... check out his work... i'll be flying out to LA to visit him in 2 weeks! my trip just happens to overlap with Quilt Festival in long beach!! ..just happened ;-) .. anywho i'll be visiting to help them pack to move into their new house!! and pick paint colors... i love getting to design! 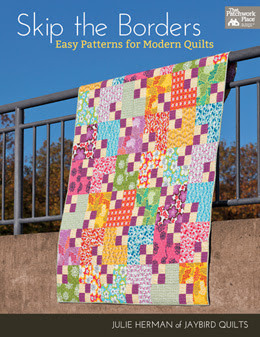 i hope you enjoy the history of my quilts... and will stick around to see what is yet to come! My dad would've loved your first finished quilt! 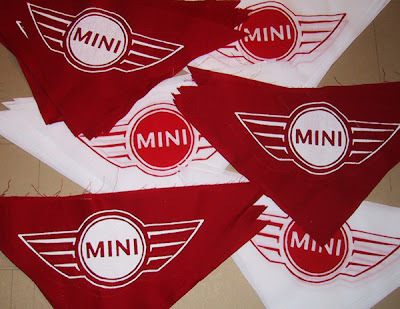 He was the president of the Mini Society in Singapore for years so you can imagine his obsession hehe! Hi Julie! I love both quilts! Screenprinting! Too cool! I have always wanted to learn how to do that on fabric... just to play around with something different. And that's the awesome thing about quilting ~ it's as much about life as anything. You have to stick it out, you have to figure things out for yourself, and you have to find out what works for you. It isn't easy, you won't be good at it overnight, but if you put your heart into it, you'll create something wonderful. You know I love the mini quilt! A stroke of genius to do the printing yourself. Both quilts are fabulous. I look forward to seeing your work in the years to come. 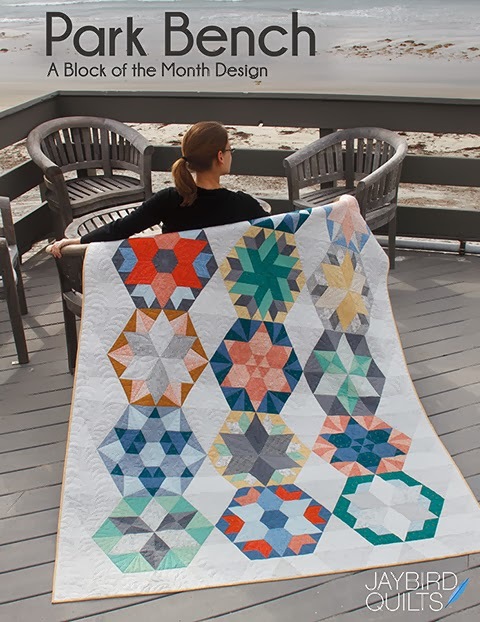 Wow - those are 2 very graphically stunning quilts! Does it matter how long it takes to finish? They both look spectacular! Wow -- that mini quilt is really cool -- lucky, lucky brother! Your first quilt is pretty cool! I'm loving the block design. Great job! 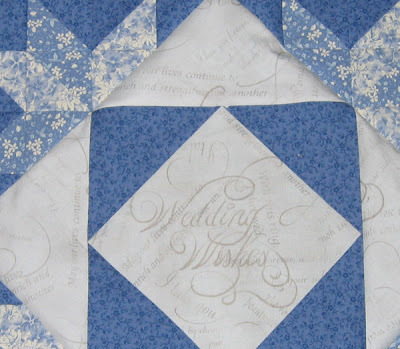 i've made a lot of wedding quilts this year and i love the sweet fabric you used in the center of the blocks. good job! 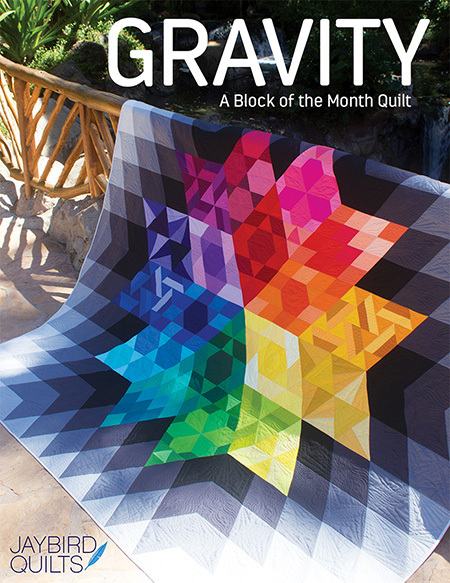 Amazing quilts, both of them! Love the idea of using screen prints to personalize things. And your brother's photography? OMG! 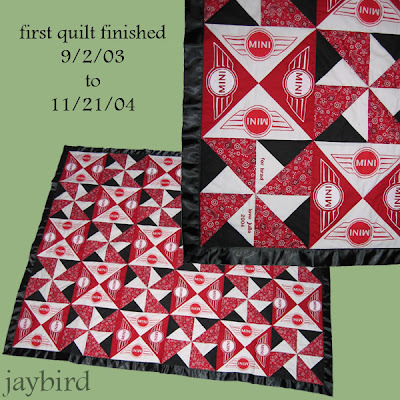 thanks for visiting my blog--i'm glad i found yours :-) your first quilt is one of the nicest i've seen--first or not! i'm so impressed that you screen printed your own fabric! 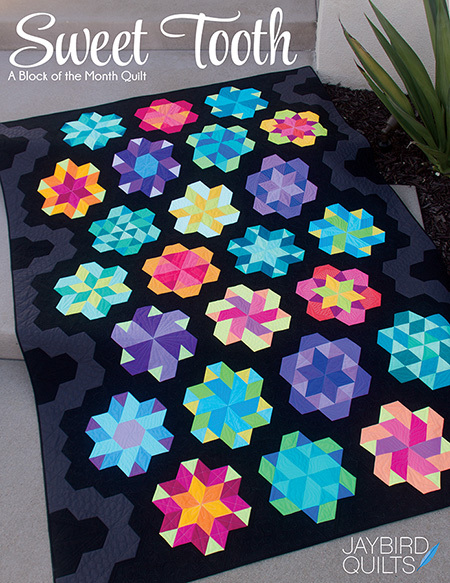 Holy cow, what is with all of these amazing first quilts? Where did you all come from? That mini quilt is AWESOME. Awesome!! I love them both, too! I love the screenprinting. That is just too cool and his photography is beautiful. 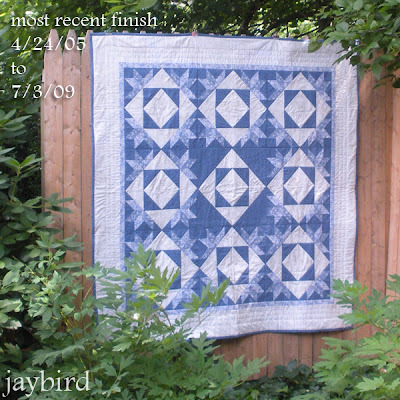 But I absolutely adore the blue quilt. I love the blue blocks with 2 half stars. This one goes in my...oh, I've got to try that...box! Love the way you personalized your brother's quilt. How smart to do you own screen-printing. 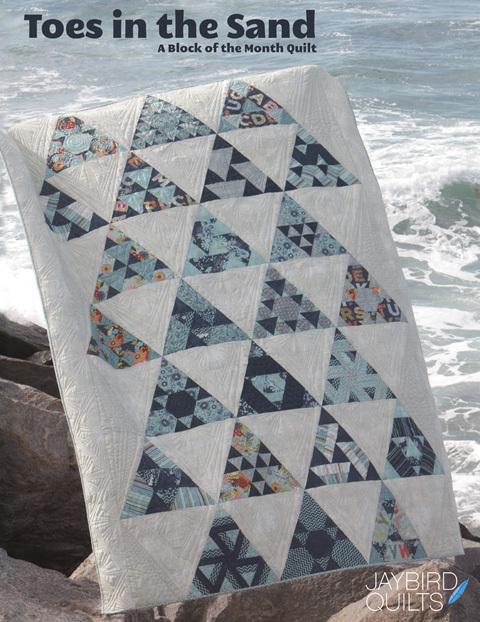 And the blue star quilt is gorgeous! What a coincidence that you'll just happen to be in Long Beach for the Quilt Festival! :) Hope you have a great time! Both are impressive. I can't believe you made up that logo and had it printed onto fabric. That is awesome. And, your second one is beautiful. I love the pattern and the soft blue and white. Good job! I'm looking to do the same thing for my sister. She is obsessed with her MINI. And she loves red and black. I want to do a quilt for her for her 30th birthday. That one is gorgeous. my skirt... "it's a jelly roll"
its moda bake shop day! make a coupon clutch!